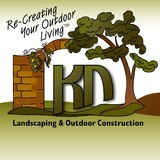 KN Construction specialized in complete architectural landscaping. Our speciality lies in redesigning the way our clients enjoy their outdoor living. Whether that be stone work, fire pits, or lighting, we do it all. Our goal has always been to take the time to understand our clients’ needs. We incorporate those needs into creating an environment to meet their lifestyles with comfort and style. Here at KN Construction, we are always striving to find ways to help our clients experience their dreams without draining their valuable assets and resources. We can design and build while being cautious and considerate of our clients’ budget. In addition, we offer phasing (creating your project in phases). If you are interested in a free one hour on site consultation, give us a call today! 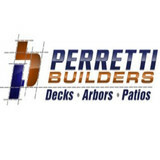 J. Perretti Builders, has more than 25 years of general construction experience with the last 20 years dedicated primarily to deck building. We have the experience and expertise to accomplish all types of projects, from practical and functional single-level decks to multi-levels and hillside decks. We take each project very seriously. With our innovative designs, high-quality materials and unsurpassed attention to details, we can make your dream deck a reality. Our company builds above and beyond industry standards and manufacture’s specifications. Air Sun Screen & Awning Inc.
Air-Sun specializes in a complete spectrum of sun control solutions to meet a wide range of tastes and budgets. We keep you cool in the summer and allow you to enjoy more sunshine in the winter. Solutions range from interior/exterior motorized or manual rolldown sunshades and sunscreen window panels, to fixed and retractable awnings — as well as complete stand-alone and attached patio arbors and pagodas with retractable roof systems. Whether your problem is ultraviolet damage to furnishings and floors, glare from the sun, or excessive heat, Air-Sun can help you choose the right solution to protect your home — and provide you with ultimate comfort. 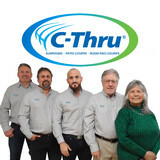 As a small, family-operated business, we are able to provide our products and services at a very cost-effective rate to our customers. Almost half of our ongoing business comes from customer referrals and repeat business. We suggest you view the slide shows on our product pages to see many examples of successfully completed projects. We encourage feedback, and are constantly working to provide top quality and innovative solutions to meet our customer needs. We look forward to continuing our relationship with existing customers and meeting the challenges and needs of those who are newly discovering our range of capabilities. Air-Sun is an authorized San Francisco Bay Area dealer for Markilux, Corradi, Shadetree & Sunsetter products. With over 30 years in business, serving the Greater San Francisco Bay Area, we have the experience to deliver the highest quality customer service and knowledge of exterior wood restoration, preservation and maintenance. We won't take a dime of your money until the work is done and you are happy. Bruce started the initial version of the company (West Bay Wood Care) in 1987 while attending the University of California at Berkeley (Cal). His major was Bio-Resource Science and he was perusing a medical career at the time. For two years during the summers between attending school he worked as a deck carpenter building high-end decks. He became a highly skilled deck builder and this is where he got the idea to start a deck preserving business. Since then, Bruce has combined his skills in the field of deck construction with the knowledge he has gained from observing what makes decks fall apart (for the last 30 years) to build one of the most well-rounded deck (and any exterior wood) preserving and maintenance companies in existence. Pacific Coast Cabins are rugged luxury cabins, handcrafted with environmentally friendly materials, custom built, flat-packed, and delivered to your location. These round cabin kits easily assemble into rural guesthouses, beach huts, art studios, or rental units, and are ideal for eco-resort lodging, luxury camping and affordable housing. Round in shape, featuring the warm glow of wood and natural lighting, our cabin design was inspired by a love of wild and beautiful places. Pacific Coast Cabins are octagonal, prefabricated kit houses built with sustainably harvested redwood, pine, fir and reclaimed lumber. Our cabins are free of the toxic building materials often used in standard residential construction. No vinyl, paint, varnish, plastic or urea-formaldehyde is used in our kits. We use only wood, natural oil finishes, building paper, steel fasteners, plywood and biodegradable, recycled cotton insulation. With over two decades of construction experience, our goal at Bay Pacific Fence has always been to match our finished product to a customer’s expectation of quality, service, and reliability. We specialize in the design and build of fences and outdoor construction of all kinds that will enhance the beauty and enjoyment of your home. City Canvas has provided quality custom awnings, retractables, and canopies to the San Francisco Bay Area for three decades. Family-owned and operated, City Canvas is a full-service company, specializing in design, on-site manufacturing, and meticulous installation of custom awnings for all kinds of home and business needs. We realize that there are plenty of choices when it comes to selecting a contractor. As with all major purchases, consumers want to feel good about how they’ve spent their hard earned dollars. They want to know that they’ve received a quality product at a reasonable cost. As a premier contractor, we take great pride in exceeding industry standards. Our attention to detail begins with the initial consultation. We take the time to understand our clients individual preferences, and structure each project to address their needs. From the courtesy and professionalism of our employees, to the maintenance while on site, to the timely completion of the project, each job reflects our unparalleled commitment to client satisfaction. Our focus on quality dictates our building practices, and we are proud to sign our name to every structure that we build. PERGOROOF is Commercial and Residential motorized, remote controlled, waterproof, retractable pergola awning systems. High-end retractable pergola awning with aluminum structure, PERGOROOF offers lasting and aesthetic systems to make use of your patio, terrace, and backyard all year around. Your Pergoroof is completely catered to your needs! We offer custom sizes, colors, sliding glass or folding glass attachments, and dimmable LED lights. Aidan Construction is founded on the idea that openness, fairness, and communication form the basis of positive business relationships. This belief, joined with our professional and technical skills, is what sets us apart from the competition. We have also worked hard to ensure that our team of employees and sub-contractors are not only capable tradesmen, but also place the same value as we do on the client relationship. We feel that although a great finished product is the ultimate goal, the journey getting there should be gratifying as well. Another important part of delivering a rewarding project experience is making sure we get things right the first time. This begins with accurate and detailed estimates. After getting to understand your project, Aidan Construction puts together an estimate which covers everything you need for the job. This way, unexpected costs are minimized, and you have the security that comes from knowing exactly what you're paying for. As the job proceeds, you will be kept in the loop with daily updates on progress, scheduling, deliveries, and expectations for the next few days What We Do: As a General Contractor, Aidan Construction provides a wide array of residential construction services. We offer design and build services for smaller projects such as decks, bathroom and kitchen remodels, and even small additions. For larger projects we offer coordination and liaison services to help you find and work with architects, engineers, and city or county building and planning departments. Most of our work is performed "in-house," which means you will see the same team each day of your project. When a subcontractor is required, we handle all of the organization, direction, scheduling, and oversight for you. That means you only have to deal with one contact, reducing confusion and miscommunication. SUNROOMS N MORE is the vision of one man, Warren Baker, President. Mr. Baker worked and trained with the very best in the Home Improvement Industry. After spending 10 years working for others in the Construction Business, he decided it was time to start his own company. His goal was to bring dedication and integrity to the sunroom business. Where customer service would be priority number one. Although we are not alone in offering these services our professional staff is committed to making the experience of purchasing a sunroom an enjoyable and convenient experience for you and your family. SUNROOMS N MORE has been successful in this business by offering competitive pricing and providing our customers the highest standards of quality workmanship. Whether your project is large or small we will work with you to design the improvements that you desire to add the most value to your home. We are innovators of the modern-day pergola. We specialize in "bringing your indoors out, & changing the way people live through design & innovation every day." What services do deck and patio builders in Aptos, CA provide? To help you choose the ideal style, configuration and materials for your deck or patio, your deck and patio contractor will survey your Aptos, CA lot and your home to come up with a design that complements your exterior as well as being structurally sound. He or she will recommend sizes, heights and construction materials that suit your lifestyle and climate, as well as explain the best stain or finish options. Additionally, deck and patio professionals can provide insight into additional components such as outdoor kitchens, patio covers, fire pits, outdoor lighting, arbors and more. Because safety is such an important consideration for decks and other elevated structures, your pro should be trained in building codes and other safety measures. Deck and patio builders might provide landscape services as part of the business. Deck and patio contractors also handle decorative and functional details that go hand in hand with outdoor rooms, such as exterior lighting and fire pits. Your deck and patio professional might work closely with another Aptos, CA lawn and landscape professional. Here are some related professionals and vendors to complement the work of decks, patios & outdoor enclosures: Landscape Architects & Landscape Designers, Garden & Landscape Supplies, Stone, Pavers & Concrete, Landscape Contractors, Building Supplies. 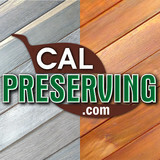 Find a deck and patio builder in Aptos, CA on Houzz.